CAP’s mission is to end child abuse in Chautauqua County. When abuse occurs, CAP coordinates a community response to bring healing, hope and justice to these children and families. CAP’s vision is seeing healthy children and families create a safe and engaged community. 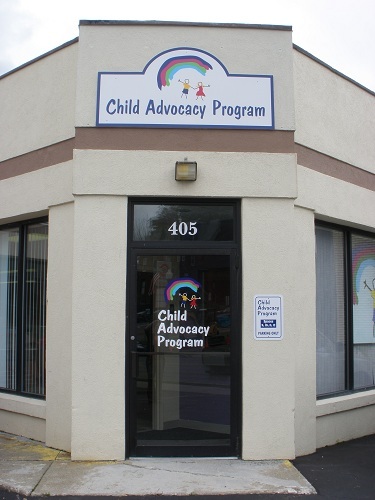 The Chautauqua County Child Advocacy Program is a safe, child-friendly center that supports a multi-disciplinary investigative approach to child physical and sexual abuse allegations. Our Center brings together agencies in one child friendly setting that is physically and psychologically safe. In doing this we reduce unnecessary duplication of interviews thereby lessening the trauma experienced by child victims and non-offending family members, and holding individuals accountable for their victimization of children. What is the Multi-Disciplinary Team? The Multi-Disciplinary team started over 20 years ago informally. After many attempts to receive help with grants and being denied, District Attorney David Foley applied for a grant for CAP’s cause and was successful. The District Attorney then hired a Project Director, Jana McDermott, in 2007 and the group has grown from sharing an office with the district attorney’s office to having a space of their own on west 3 rd street. The team is the heart of our CAP’s response to allegations of child abuse. Each person is crucial to maximize the ability to provide thorough and effective services to children and their families. Of those encounters, 90 percent of abused children know their perpetrator personally.